Home / Unlabelled / OH SERVANT OF THE QURAN, IF YOU NEED MOTIVATION - READ THIS! OH SERVANT OF THE QURAN, IF YOU NEED MOTIVATION - READ THIS! 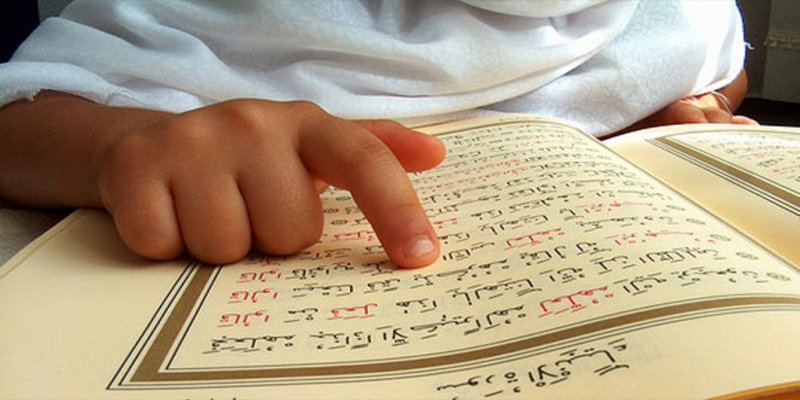 Maybe it’s been a long time since you last memorized a new ayah or surah from the Qur’an. Or maybe you’ve already memorized quite a bit and want to take things even further with the aspiration of becoming a hafidh or hafidha. Whatever your level of ability, and whatever your Qur’an memorization goal, we'd like to help you achieve your goals with these 7-steps. In this article, we will outline the first essential step of this process that will fuel your motivation so you can reach your Qur’an memorization goals productively. Before we dive into the first step, let’s begin by addressing the most common mistake many Muslims make when memorizing the Qur’an, and how you can avoid it. As Muslims, we must always remember to start and continue with the right intention, for intention is the foundation of action. Despite knowing this, one of the most common mistakes many Muslims make when memorizing the Qur’an is having bad or neutral intentions, knowingly or unknowingly. What is the difference between bad and neutral intentions? As Muslims striving to be productive, we must always turn to Allah and seek protection from bad intentions. Many of us however often forget that we are also vulnerable to fall into the trap of neutral intentions, especially if you come from a culture with strong expectations and definitions of what a good Muslim “should do”. While it might seem harmless at first, these neutral intentions can actually make Qur’an memorization a stressful experience, because you’re trying to fulfill an external expectation – not a purposeful, internalized intention. Anything that is stressful then becomes difficult to maintain, and this is when you become more prone to laziness, procrastination, difficulty to memorize, inefficient use of time, and other unproductive pitfalls. To avoid falling into this trap, what you need to do instead is empower yourself with a clear, purposeful, internalized intention before you start memorizing the Qur’an. What is the difference between a sincere intention, and a purposeful, internalized intention? Simply put, a sincere intention is when it is done for the sake of pleasing Allah. This is an important prerequisite in anything a Muslim does. However, it’s all too easy for this intention to just become lip service. So the next step is having clarity on what the sincere intention of pleasing Allah actually means to YOU and how it looks like for you on a day-to-day basis, which will transform a sincere intention into a purposeful, internalized intention. On a piece of paper, create two columns — one called “My Life & Intentions” and the other called “My Qur’an Memorization Purpose”. In the left column, write down all the important areas of your life and goals you intend to achieve. In the second column, write down how memorizing the Qur’an will become meaningful to each area of life and intention. a) Ask yourself: Is this for the sake of Allah; is this action something that Allah has commanded of me? At any point during the process, turn to Allah with salatul istikhara to seek His guidance on your intentions. Finally, remember that intentions are not something you do once. Intentions require regular renewal to make sure that shaytan has not strayed your intentions. Renew your intentions regularly and seek protection from Allah with dua. If you really spend time to reflect and do this exercise with honesty and humility, you will align your emotional and psychological needs with your Qur’an memorization goals. This clarity will plant a purposeful, internalized intention to memorize the Qur’an that comes from a space that is meaningful in your daily life. This instantly triggers a chain reaction of joy and motivation that makes memorizing the Qur’an easier and more productive, in sha Allah. Let your heart find peace in the certainty that memorizing the Qur’an has been made easy for anyone who makes the decision to remember.